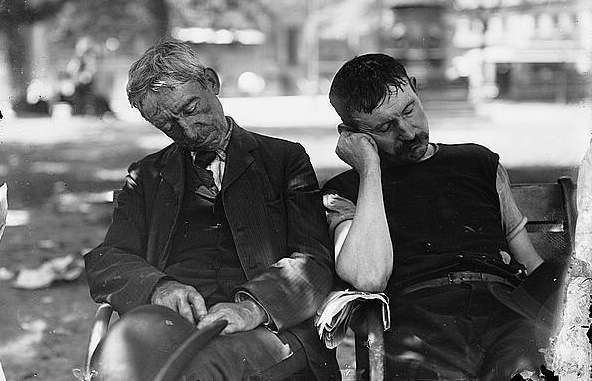 Two men in a park during the 1911 heat wave in New York City. Photo courtesy Library of Congress. 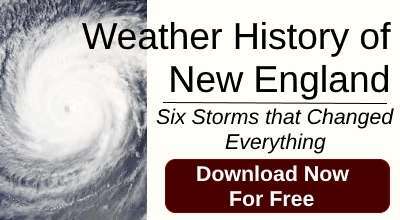 The July 1911 heat wave killed thousands of New Englanders and sent many over the brink of madness. During 11 hellish days, horses dropped in the street. Babies didn’t wake up from their naps. Boats in Providence Harbor oozed pitch and began to take on water. Tar in the streets bubbled like hot syrup. Trees shed their leaves, grass turned to dust and cows’ milk started to dry up. In every major northeastern city, the sweltering heat drove people to suicide. On July 4, temperatures hit 103 in Portland, 104 in Boston (a record that still stands), 105 in Vernon, Vt., and 106 in Nashua, N.H., and Bangor, Maine. At least 200 died from drowning, trying to cool off in rivers, lakes, ponds and ocean – anything wet. Still more died from heat stroke. The 1911 heat wave was possibly the worst weather disaster in New England’s history, with estimates of the death toll as high as 2,000. 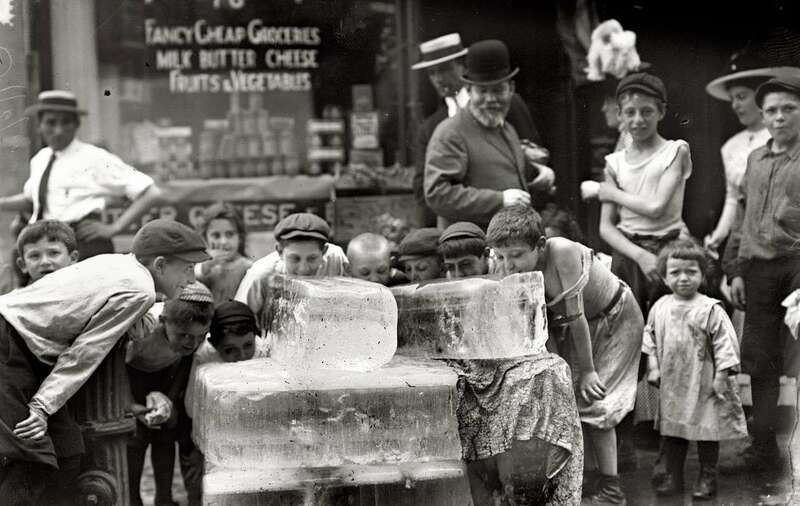 Trying to cool off in Hartford during the 1911 heat wave. Photo courtesy Hartford Courant. June weather had been normal, but in July hot, dry air from the southern plains flowed into Canada and then swept south and toward the coast. The hot wind suppressed cool ocean breezes, and the temperature rose 11 degrees in a half hour in Providence. In Hartford, crowds gathered around the Thermograph near City Hall to watch as it fluctuated between 110 and 112 degrees in the shade. At Colwell’s store in Cumberland, R.I., the thermometer hit 130. A farmer in Woodbury left his field when the temperature reached 140 degrees in the sun. The City of Hartford flushed fire hydrants and ferries and trolleys allowed people to ride free. Some rode all day. Others went round and round on carousel horses for the slight breeze. The Heublein family donated water barrels to the parks, and the Trout Brook Ice Co. refilled them. Throughout the region, factories closed and mail delivery was suspended. Parks and beaches were opened for sleeping. 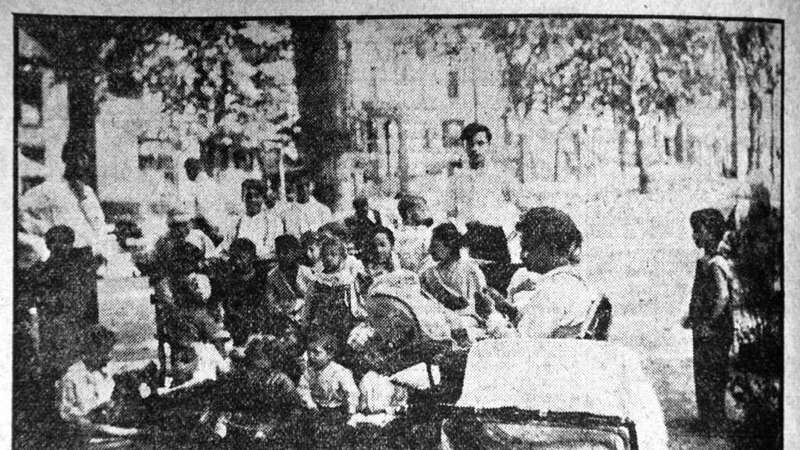 In tenement slums, the sidewalks were lined with blankets and mattresses. Sleeping outside had its dangers, as thieves commonly stole hats, coats and wallets. Sleeping in the park in New York during the 1911 heat wave. Photo courtesy Library of Congress. 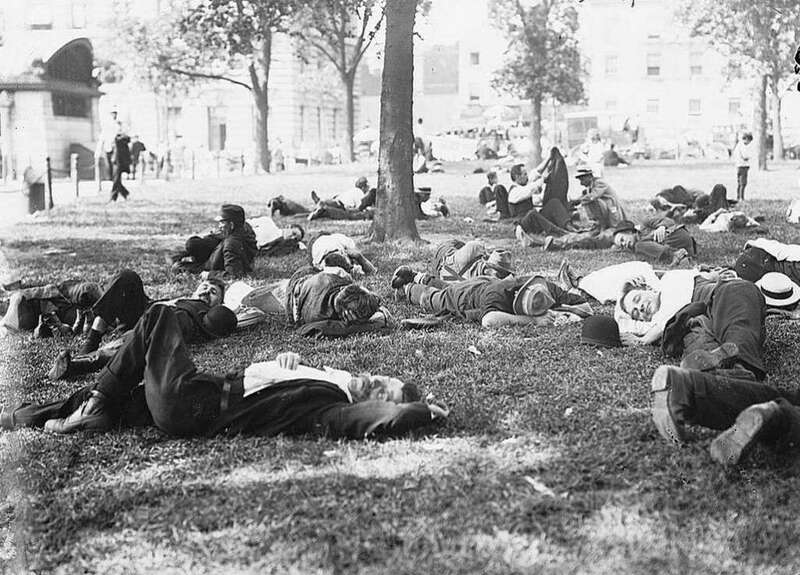 Boston Common was described as the ‘biggest boardinghouse in New England.’ Five thousand men, women and children slept there on the ground at night during the 1911 heat wave. Some people slept on roofs. John Merlo, a 28-year-old Italian immigrant, rolled over in his sleep on the tin roof of his boardinghouse in Hartford’s slum. He crashed through a 10-inch guard and fell to his death on the concrete below. It became a daily ritual to read the morning newspaper to see how many died. Workers died digging holes. Women fell over picking blueberries. A teamster fainted and fell off his wagon, only to be trampled to death by the horses pulling it. A woman sitting up in bed talking suddenly keeled over, dead. A week after it started, the 1911 heat wave was broken by a line of thunderstorms. The next day the temperature shot up to 95 degrees. People started to go mad. In Hartford, a crazed man tried to climb a utility pole. Two police officers and three bystanders subdued him and wrestled him into a straitjacket. In Springfield, a man suddenly threw off his coat and ran through a pharmacy. In New York, a crazed drunk ran after a police officer with a meat cleaver. The New London Day reported Jacob Seegar, an aged resident of Roxbury, Mass., was so crazed by the extreme heat he killed himself with a revolver. Boys licking ice in New York City. Photo courtesy Library of Congress. The 1911 heat wave bent rail lines, causing derailments. But it was probably excessive speed that caused the wreck of the Federal Express train carrying passengers from Washington to Boston. At 3:30 a.m. on July 11, the train derailed as it approached the station in Bridgeport, Conn. The engine and six cars fell 20 feet to the street below, killing 14 and injuring 47. The St. Louis Cardinals were sleeping in a Pullman car at the back of the train that remained on the tracks. They were on their way to Boston to play the Braves. Hall of Fame catcher-manager Roger Bresnahan directed the team’s rescue efforts, credited with saving many lives before ambulances reached the wreck. Bangor, Maine, had already suffered from one inferno two months earlier: the worst fire in its history. The city suffered from temperatures above 100 degrees. A 69-year-old African-American woman, Mrs. Myra Hudlin, had been burned out in the fire and lived in a room with a bed, six chairs and a stove. She collapsed in the heat after washing clothes all one morning and died the next day. 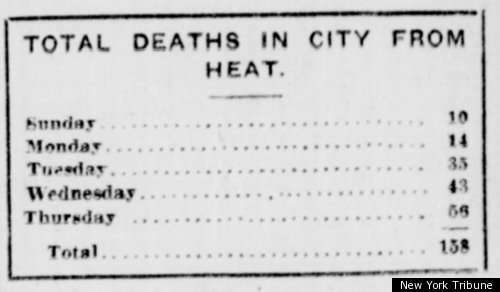 The New York Tribune's estimates of the death toll from the heat, undoubtedly understated. Bangorians seeking relief slept on porches and roofs. 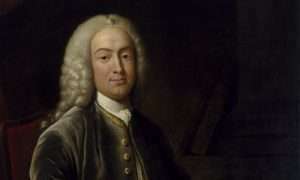 Most men walked around town without wearing a coat. Moviegoers showed up at the un-air-conditioned theaters at night in various states of undress. On July 6, the heat was interrupted by a terrific thunderstorm that killed carpenter Harry Mower by toppling a barn on top of him. The storm damaged property throughout the city, felling the charred walls of buildings that still stood after the fire. From early morning to late at night, people hoping to catch a breeze jammed into the open cars of the Bangor Railway and Electric Company’s open trolley cars. Six thousand people besieged Riverside Park at the end of the trolley line in Hampden so they could cool off in the Penobscot River. Even swimmers couldn’t escape the heat. David Kerr, a waiter on the steamer Belfast, was overcome by heat while swimming near the ferry terminal. He appeared too dazed to grab on to a line thrown to him. After 11 days of searing heat, another severe thunderstorm brought the temperature down to bearable levels -- and killed five more people. But the 1911 heat wave was finally over. A deadly heat wave 15 years earlier launched a U.S. president. Read about it here. This story about the 1911 heat wave was updated in 2018. 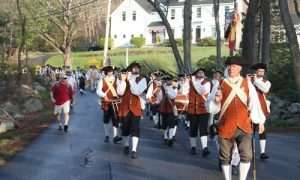 I’ve lived in Connecticut all of my 72 years and never knew about this. Thanks for the enlightenment. The style of dress required at the time must have contributed to this terrible death toll. Look at all the men in wool pants, suits with vests on over long sleeve shirts. What social pressure there must have been to wear all of those proper but also very warm garments. More likely this is a lie, who would stand around and let people in layers of clothes continue to the point of death. The photos are simply from the area at the time (of even that). I realize that was the custom back then, but it is amazing to see men wearing trousers, jackets, button-up shirts, and ties and women in long skirts while attempting to get relief from the heat. Never heard of this. At 23, my grandmother would have been eight months pregnant with my dad (her third child). Talk about discomfort! I loved reading this but why did they feel the need to mention that Myra was African AM.? Everyone else was followed with their profession, not preceded with their race. Come on. “The heat bent rail lines” – Really? Really. On July 29, 2002 my mom, sister and I were taking an Amtrak train from Chicago to D.C.. It was so hot out that about 15 minutes from our destination we hit a spot in the tracks where they had buckled from the heat. I was ejected from the train, landing on another passenger in the ditch. My mom was hit in the head by a flying briefcase, causing her a head injury that plagued her until she passed 2 years ago. Over 200 people were injured, but fortunately no fatalities. Still happens in 2016! The recent derailment of an Orange Line train of the Washington DC area metro rail system was a result of a heat wave that caused the rail lines to expand. I looked for a photo from that era-Woman NEVER left home without a hat, gloves, petticoats, corset, cotton stockings, button up high top shoes, –proper woman didn’t go with arms or legs uncovered. Men had to wear undershirt, shirt, tie vest, jacket, undershorts, trousers, socks, leather shoes. Fashions in the US came mostly from Victorian England-a place much cooler and damper than most of the US. Sad how people allowed Victorian mores to actually kill them. 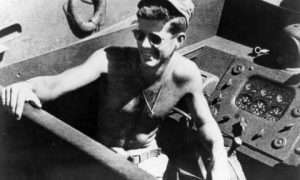 This incredible article –like all historic documents –requires source information. Where did this information come from and who wrote the article?? What a story! I had not heard of this heat wave and the toll it took. “So deadly it drove people insane” – so not deadly at all then, given that you have to be alive to be insane? So how did the teamster that fainted and fell off his wagon get trampled by the horses pulling it, since that means he was behind them? Did they pull a U-turn and give him a stompdown?